2 – 2 Is it possible today to conclude that it is the result of a capability to the exchange with an external spiritual dimension, as would be an antenna? The importance of the Small Brain of the Heart is of the more fundamental, since, as we have just seen in the previous paragraph, it is an integral part of our system of incentives or moderation of our emotions (emotional stimulus). It thus directly influences Analysis Center of our five senses (sensory thalamus) in the decision-making by the tonsil, trigger or not of the short circuit self-protective of our brain, depending on the data that we have opened in thereof, depending on the encountered context. We must not lose sight of, especially on the spiritual level, that this short circuit ignores our analyses of the neocortex, and allows to our only spirit of survival attached to our nature more or less animal, according to its renewal, as well as to share our feelings already loads in the tonsil from this same spirit more or less well corrected by the learning from childhood to become masters of our reactions as we have already seen in paragraph 1-5. If up to this point of the talk, we remain in accordance with the current scientific data, we however will slightly extrapolate in order to better understand the functions of this “Small Brain of the Heart” in the mechanism of setting in short circuit. If we easily perceive our reactions to cardiac acceleration and implementation of short circuit of the brain, we will now look to the period preceding the decision. In difficult situations, which may motivate us to the conflict, in the escape or call for help, we can then perceive the influence of the Little Brain of the Heart on our decision to act. In everyday language, to define this waiting period of the action we use easy words like "but I had the heart peaceful" or "I felt the pressure rising in my heart." In other words, as long as we place more confidence in our cardiac coherence, than in analyzes related to visual, auditory, tactile, olfactory or gustatory perceptions, we remain in the capacity not to react, and thus we retain our capabilities of analysis related to the long brain circuit, including the selection of data contained in the tonsil, in relation to our interpretation of the context. If thus, beyond the data loaded into the tonsil, which behaves like the RAM of a computer by a storage of programs opened from our limbic brain and feelings related to the context met, so this is the content of neurons of the Small Brain of the Heart which will intervene like a more or less moderating software on the decision to pass from the long circuit to the short circuit and to leave us under the whole dependence of our pre-established reactions. The renewal of this software then becomes predominant in the whole of our mode of reaction if we give to it our trust by faith. According to our current knowledge of the exact provision of these neurons, rather not very precise it is true, a thing would remain incomprehensible if the function of these neurons did not correspond to the genre “of antenna” possibly comparable to a “transmission system” between “spirits”, it is their more or less parabolic provision in the rib cage. We could almost believe, that for once, "Mother Nature" would had mistaken to place in that little brain this way. If it were actually that manage cardiac coherence as Professor David Servan-Schreiber demonstrates the possibility, why not install it in an osseous enclave located near the coasts and the heart? Its nature made ​​of neurons, not nerves, as well as its disposal relatively elongated and more or less parabolic near the spinal column, would induce one to believe that this is a system of "communication" still unknown. Another phenomenon is also added in favor of this theory is the magnetic field that emerges of it. 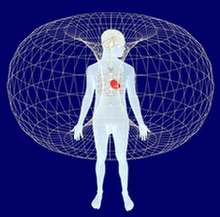 According to the data of “The Institute of HeartMath” (Document pdf with rather long download), it appears indeed that the magnetic field near the heart, related to this body is 60 times larger in amplitude and 5,000 times more powerful than that emitted by the cranial brain. Today, everyone knows the feature of an antenna which is to enable the reception or transmission of waves of constant length issued remotely by another device, to be transcribed in Visual cues, auditory or other, usable by humans. At the current level of science and our understanding of it, nothing allows us to say with confidence, except our own perceptions related-faith our, that it is a system to ensure some contact between "spirits." But what would so be the function? Would this be a form of “telepathy”? Certainly not! Would this be a radio operator contact with our God, whereas This one wants to come to live in this part of ourselves? While trying not too to move away us from the scientific discipline, just like from our ethical code "Boomerang Effect" we will try in our third paragraph to discover an explanation of it in agreement with the Bible. Average approximate value of the human magnetic field. 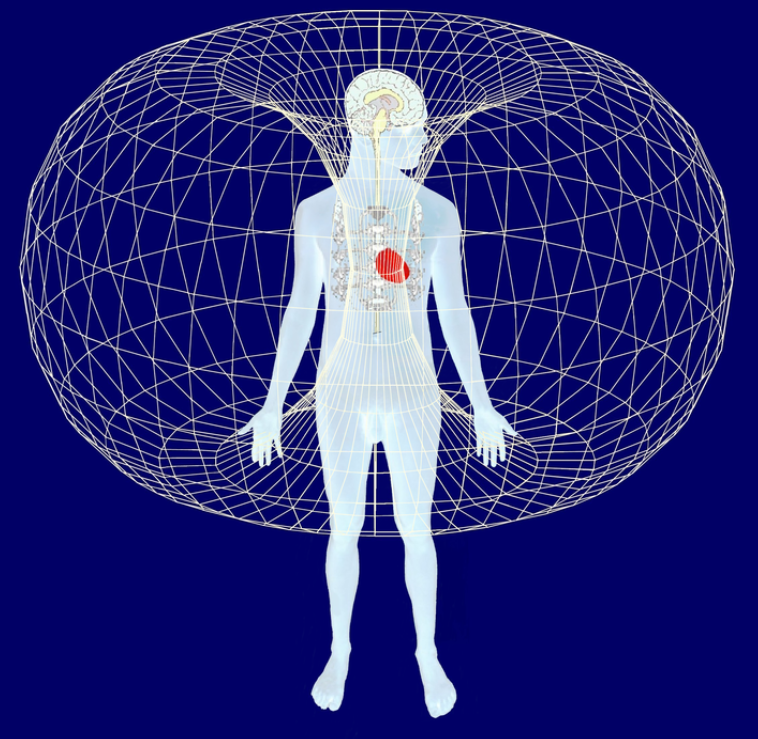 Is it not questioning that our magnetic field is centered on our Small Brain of the Heart?